A hard tool is cast using a tooling resin which is more durable and can tolerate more handling. The surfaces on these tools are polished and from them the production two-part silicon molds are made. 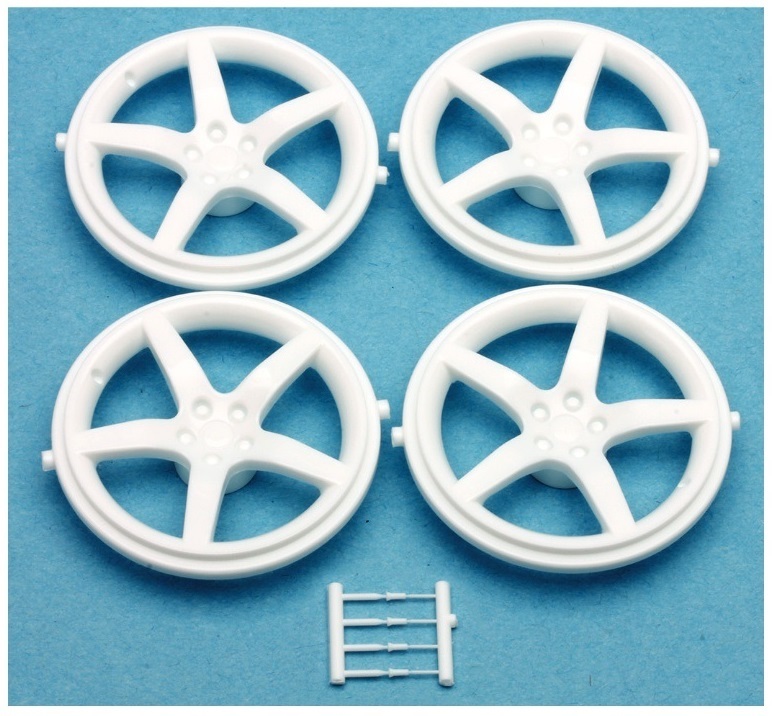 The final result are some of the best resin parts that I have ever seen. Are these expensive? Well, yes, but considering the size, they are worth it. 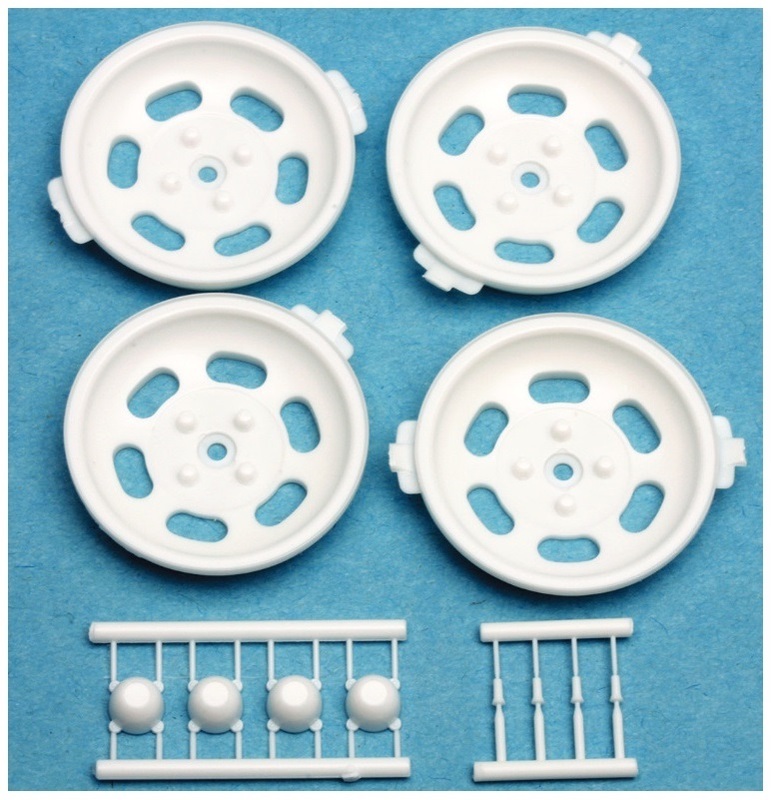 These are 1/12 scale rims, and they fit perfectly into the respective kit rims/tires. 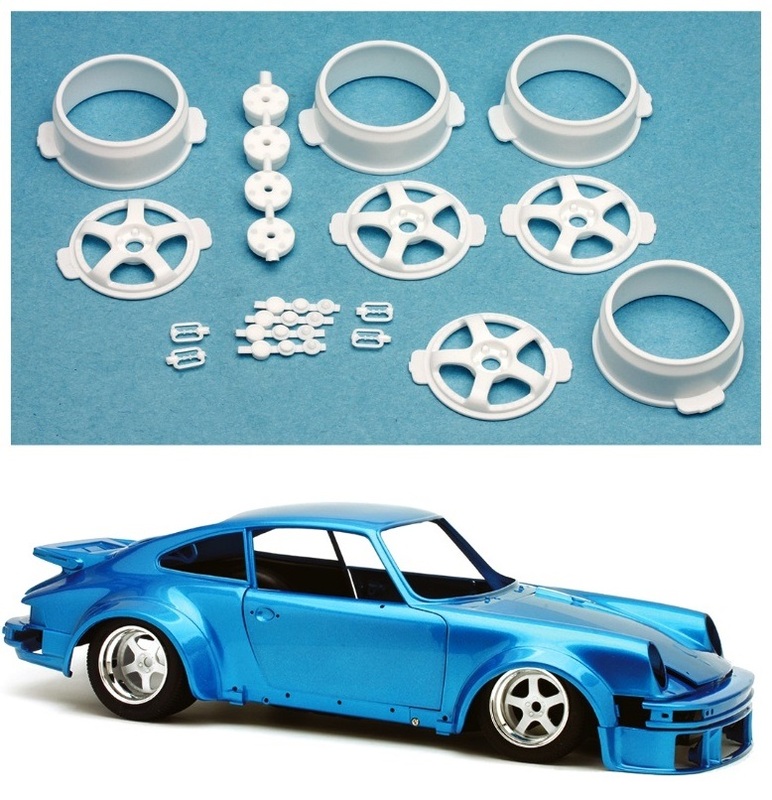 I had no problems fitting them to the Revell 1/12 Mustang, the Tamiya 934 Porsche (pictured below), and the Tamiya 1/12 240Z rims and tires. I can’t wait to paint them. They will be incredible… or, maybe send them out for chroming? I can’t wait to see more from Riverview Hobbies, my new best friend! Review used with permission from Model Cars Magazine.